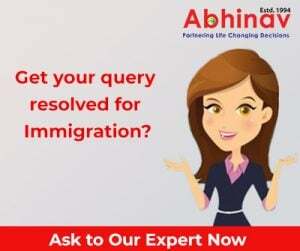 If you are keen to live in a highly developed and safe country, with a fantastic quality of life, then certainly you need to think about Immigration Quebec. It is one of the best overseas hotspots for the migrants. You can realize your dreams through immigration Quebec. This immigration path is great for the skilled and talented candidates as the Canadian province welcomes young, trained, rich and experienced candidates with open arms. For the wealthy candidates, there are 3 different immigration programmes that lay red-carpet for the enthusiastic aspirants. Come to Quebec and establish or start a business— This gateway is wonderful for those who have assets worth 300,000 Canadian Dollars earned legally. The applicant must also have relevant experience of at least 2 years of the business he could be planning to start in the province. He is expected to devote his time to the business and actively participate in the daily activities of the firm. Make investment in the province and enjoy dual benefits of Canada and the province–If you possess the capital amount of 1600,000 Canadian Dollars, this is your gateway to enter in Canada. You need to invest half of it and you are all set to pack your bag and reach your dream destination. Create your own or employ or start your own trade, profession under the Self-employed Worker Programme–This gateway allows you to practice your profession in the province where you create jobs for yourself. It requires certain net assets of 100,000 Canadian Dollars earned legally by you. Under this gateway, you need just 2 years of work experience which is nominal for getting Canadian citizenship. These are the basic requirements for Quebec immigration for the investors and businessmen. Move to Quebec! This amazing Canadian province beckons you! Contact an experienced visa professional, dealing with Quebec Immigration, TODAY!